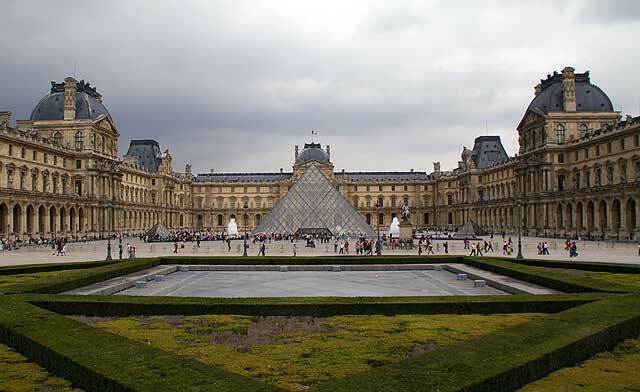 The Louvre, Paris – from a Wuxing and Hexiang Perspective. Not only when something is not working, but also when something is working well that we can often find an explanation with Wuxing and Hexiang – two fundamental concepts in Feng Shui correlative thinking. Take the Louvre in Paris for example. Before I M Pei’s glass pyramid addition, the whole complex has a strong Earth element in its form and the use of materials. By introducing the pyramid form, the addition “generated in” the Fire element to nourish the existing Earth, making the Louvre a greater success. But over the long run, the Fire is weakened by the Earth, so now the administration is seeking ways to enhance the glass pyramid, so there is less congestion in the way people enter the glass structure to the exhibition spaces. Another way to connect ourself to the Louvre is through Hexiang or “calling out the picture”, a corrective way of looking at the building complex as a living organism, in this case the building complex as a human being. 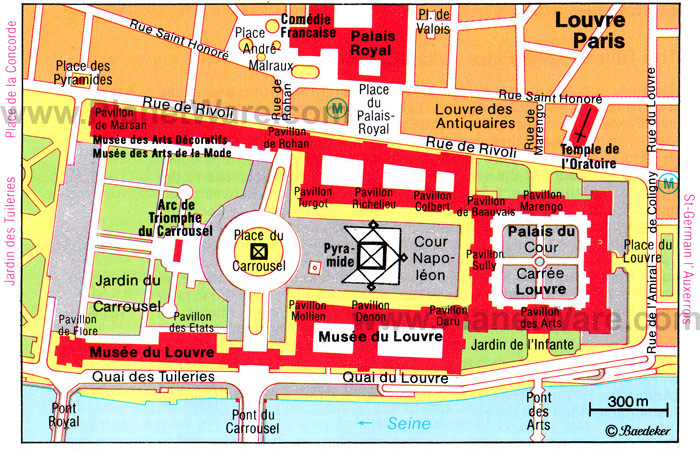 If we look at the map of the Louvre like the one below, where the building are shown in red, the Louvre looks like a person lying down by the side of the River Seine, the Palais du Louvre and the Cour Carree is like the head, the pavillons in the middle are like the body and the buildings to either sides of Jardin du Carrousel are like the legs. The Place du Carrousel is the genital and I M Pei has put his new pyramid right on the solar plexus, and by having people entering this middle Dantian point, the point of emotion, the whole complex is awoken, in a symbolic as well as a physical way. Hexiang may sound a bit irrational and childish, but this type of correlative has been used by all of us whether we are aware of it or not. It is a simple and effective way for us to connect to our environment whether natural or man-made, but we must not take it too literally, otherwise it will become superstitious.